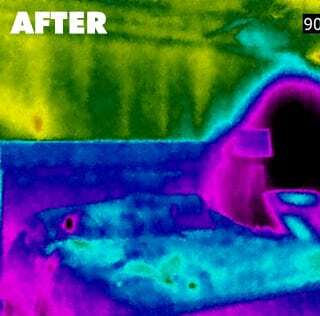 Thermal bridging is the movement of heat across an object that is more conductive than the materials around it. The conductive material creates a path of least resistance for heat. Thermal bridging can be a major source of energy loss in homes and buildings, leading to higher utility bills. A significant thermal bridge can be created in residential home construction by the studs in the wall. American homes have traditionally been built with 2x4 wood studs spaced 16” on center, with fiberglass batt insulation added to the cavity. Although the fiberglass insulation may have an r-value of R-15 or more, it can only be placed in between the wood studs. These studs are more conductive than the fiberglass insulation surrounding them, so although the insulation reduces energy loss through the wall, it does not stop energy loss across the thermal bridge. Nearly 25% of a home’s wall is made of wood studs. Even if you have fiberglass insulation in the cavity, it adds up to one whole wall of the home with zero insulation. As you are paying to make your home comfortable, 25% of your walls are working against you. Heat always moves towards cold. In the summer, sweltering heat from the outside works its way across the studs into your air conditioned space. 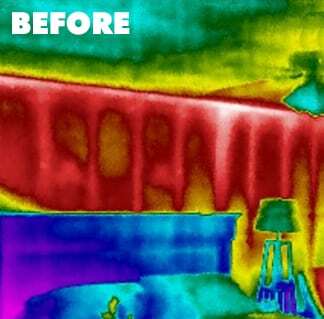 In the winter, the money you’re spending to heat your home is leaking into the cold outdoors. To combat the problem of thermal bridging, the studs must be covered with continuous insulation. During home construction, insulation can easily be added to the wall system to break the thermal bridge. In a remodeling situation, a layer of insulation can only be added from the inside or the outside of the home. 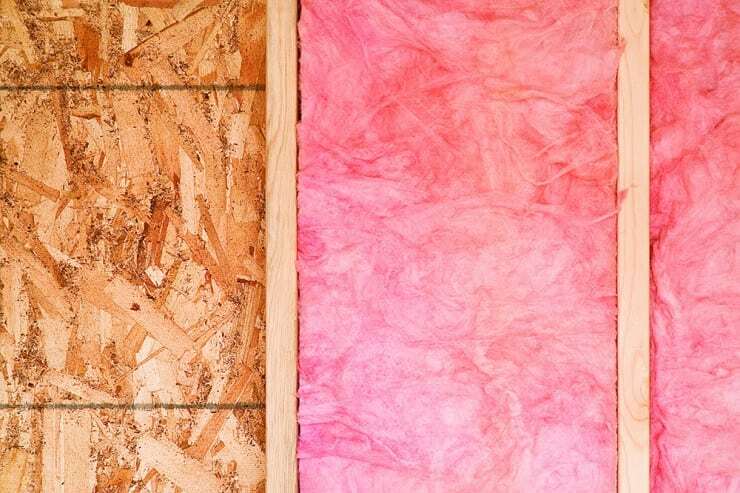 Adding insulation from the interior is typically difficult and expensive, since it requires a complete remodel to replace drywall, trim, or other interior finishes. By adding insulation under new siding, not only do you break the thermal bridge and improve energy efficiency, but you are also able to leave the interior of the home undisturbed and get an exterior makeover at the same time. 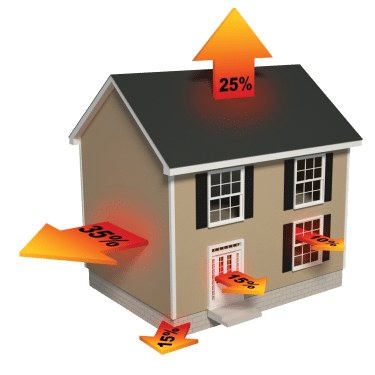 Energy loss through the sidewalls of a home accounts for nearly 35% of the total energy loss, more than windows (10%), doors (15%), the foundation (15%), and even the roof (25%). The thermal bridge created by the wood studs in the home needs to be broken with continuous insulation to help reduce this energy loss. 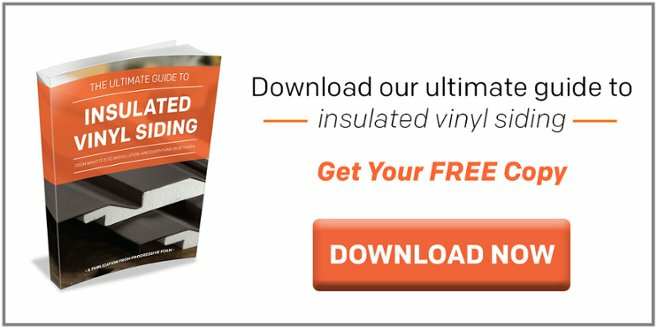 One of the most affordable times to add a continuous blanket of insulation to an existing home is when new siding is installed, whether that be with flat, rigid sheets of insulation, or insulated vinyl siding.